That's right --- for my final semester on-air at KSCR, I've decided to dig deep into my extensive vinyl collection of first-press editions and put them on air for your listening pleasure. 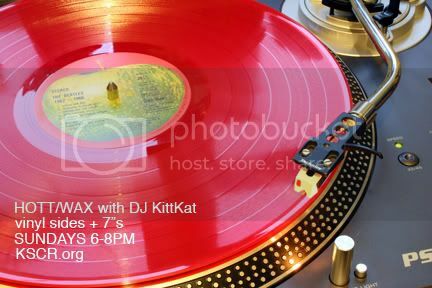 So heads up vinyl junkies; tune in every Sunday from 6-8pm this semester to hear full album sides, various 7" records and musical criticism and pop theorizing mumbo-jumbo right here on KSCR. I'll also track what albums I'll play each day on KSCR's Twitter. If you aren't already, make sure to hop on the social networking bandwagon and follow us!